The Logitech G300s gaming mouse is one of the lower end mice in Logitech’s ever expanding catalogue of gaming peripherals. But still, I think it’s one of the best gaming mice I’ve tested. It’s sleek and beautiful without being over the top. I don’t know if I’ll personally be using this, as my daily driver has given how spoiled for choice we are these days, but if you’re someone looking for some affordable quality, this should be on your shortlist. 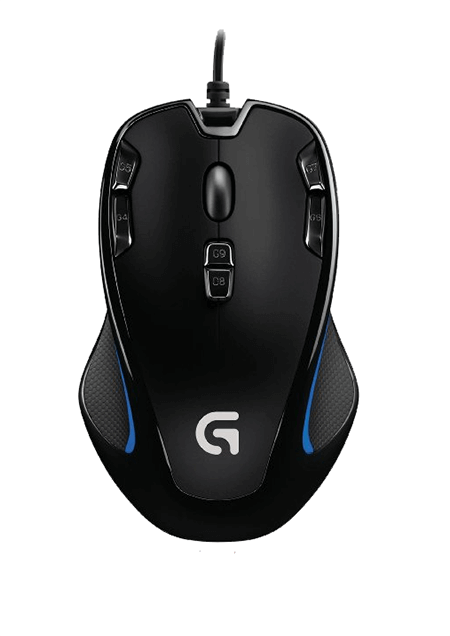 The Logitech G300s has a very soft texture on its sides that gives it more comfort and grip. It’s nothing special, but at least, it’s not plastic or fingerprint prone (a big plus in my book). Its feature set is pretty impressive for its price range, so as long as you peel the price tag off the box you’ve got yourself a great birthday gift idea for your gaming loved ones. Programmable buttons, onboard memory for multiple profiles, on-the-fly DPI shifting, tangle free cable, LED lighting, the works. It’s got enough bells and whistles for most moderate gamers on a budget. My major gripe with this mouse is its size. This thing is really small, which is really unfortunate. I mean, people rarely complain about a mouse that’s too big, so they should’ve easily super-sized for little to no added cost. It’s just not comfortable for people with larger hands that don’t prefer claw gripping. This is probably the only thing preventing me from calling this the best optical mouse out there for gaming, especially in the cheap gaming mice category. I took the Logitech G300s gaming mouse out for a spin on CS:GO and, later on, DOTA 2 to get a feel for its performance. Now, I’m a big fan of economical gaming (aka cheapskate), so I’m really excited to report that this rodent delivers a really satisfying experience overall. Great gliding, feels really durable, DPI downshifting was seamless and all my clicks registered perfectly despite the heavy number of clicks per minute on DOTA. Overall, I’m really impressed by the G300s and am sure it’ll be a popular choice among thrifty gamers across the globe. The price point ensures that it’s accessible to everyone, so I wouldn’t be surprised to see a few more of them in action at your next LAN party. I own many mice (being a collector). I regularly complain about mice which are too large. The G300s is an absolutely, undeniably, perfect size for claw/fingertip grips. I’m actually not sure why you listed “Only for Palm grip” in the CONS section…because, if anything, the G300s is most suited to Claw/Fingertip grips. Happy to see you reviewed it at 9.5 though. It is an excellent mouse, although the middle button (scroll button) could be better. 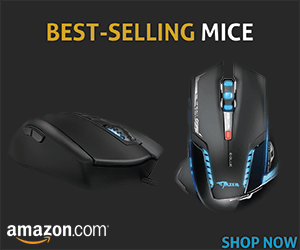 The G300s is an amazing mouse for the price! Donald may have made a mistake. After I tested the grip of this mouse I strongly agree with you, it IS best suited for Claw/Fingertip grips.